The hotel full of distinctive style and simple delights, with an unparalleled “walk-ability” factor. 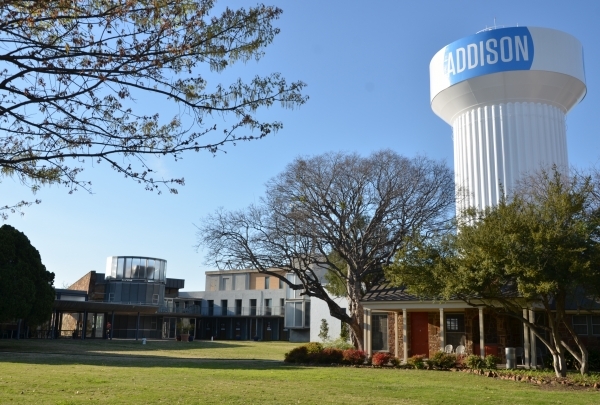 Located at a prime spot in the heart of North Dallas, with easy access to the city center and airports, as well as a stroll away from local sights and sounds in Addison itself. The hotel boasts 528 oversized guest rooms and 24 ultra spacious two-story suites, as well as three uniquely designed ballroom spaces available for business or pleasure. The hotel’s restaurant, Noell JCT Restaurant & Lounge, serves up locally sourced foods with creative flair and bold flavors, and the adjoining lounge has won over locals with an impressive range of wines and whiskey. 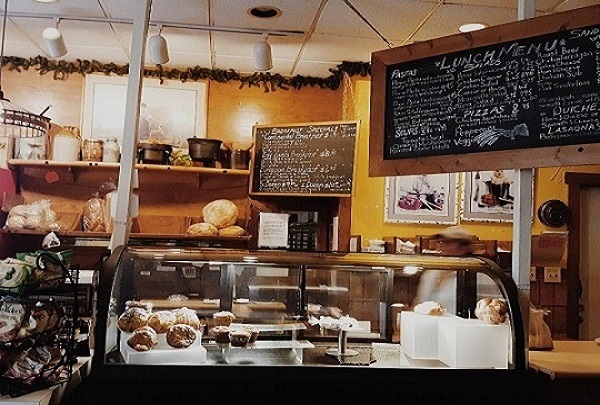 Local Cafe serving Italian-style sandwiches, soups, freshly baked bread, and cakes. The best part about going to La Spiga's Bakery is seeing what kinds of breads have been freshly baked that morning, and are on sale. I love taking home a nice Sourdough, slicing it, and placing it in the toaster. I also love checking out the decadent cakes such as the Italian cream cake. There are so many tasty options for such a small cafe located in a warehouse district. A nice park with a cool water feature, perfect for quiet contemplation. 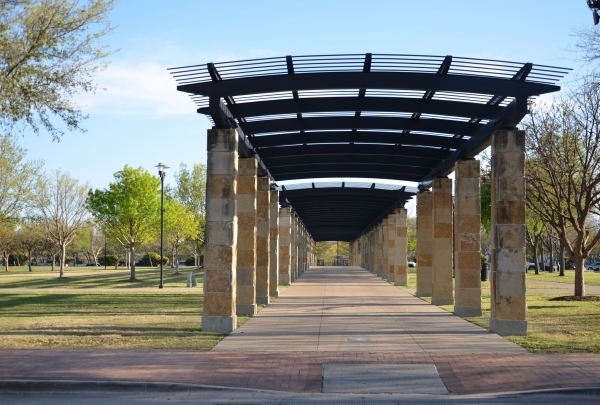 Quorum Park, though a small feature of Addison, is a great place for walking, exercise, or just hanging out. 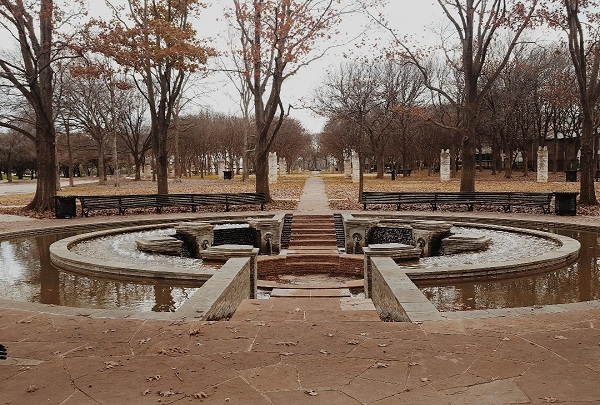 It features two fountains that are inverses of each other. One is a small fountain shaped like a Mayan pyramid, the other fountain is more grandiose with embellishments fit for anyone to study. This park is perfect for a nice outdoor book reading, but is fit for any fun activity. Fun bar with club atmosphere with live entertainment that includes the audience in performances. 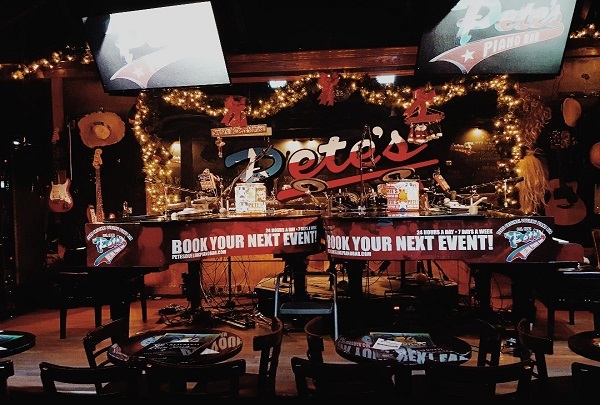 Pete's is the place to go to forget about life for a while. The pianos are center stage, and the talented performers get the crowd involved and invested. Feel free to sing along to some awesome tunes, and put in a request (and maybe a dollar or two) so you can belt out your favorite songs for everyone to hear. Great for bachelor/bachelorette parties, birthdays, or just a cool place to hang. Bullzerk is not your average souvenir shop. When you go shopping there, be prepared to be bombarded with everything Dallas. 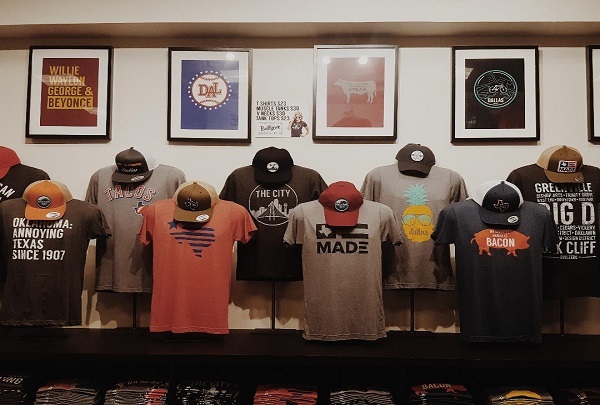 The shirts are made locally, some can even be made in-store on a screen printing machine. All have either funny, quirky or clever sayings that are unique to Dallas. If that's not enough, you can get hats, bumper stickers, or mugs that are equally uncommon. Modern Southern cuisine with a laid-back atmosphere, and a Cajun flair. This isn't the kind of place where they pile lots of gravy on your plate. The plates are humble, but elegant, in a charming southern way. 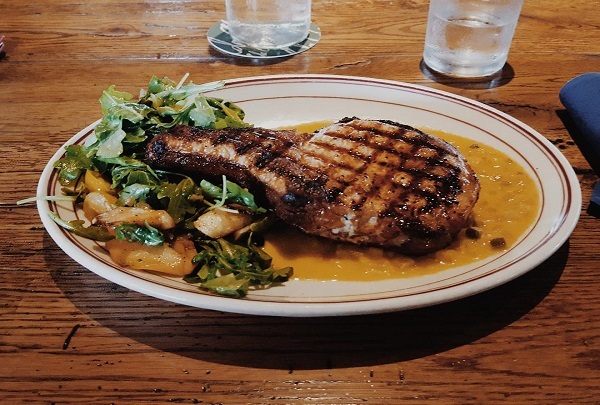 The portions are just enough to not warrant a doggy bag, and with tasty morsels such as the Pecan-smoked pork chop, or the shrimp and grits, why would you want to leave anything uneaten? 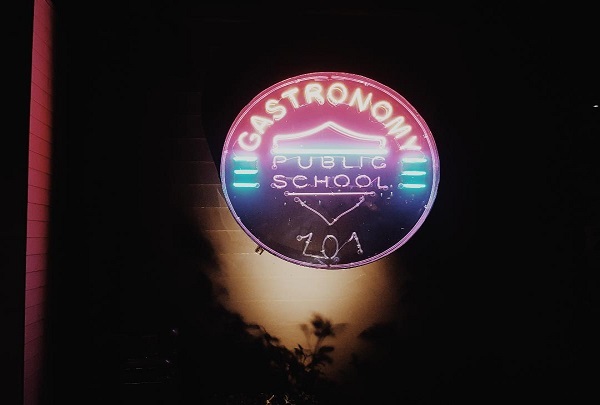 Eclectic place for bar eats and unique drinks. P.S. 972 has a fun atmosphere with a schoolhouse theme, and fun bar games to play. There are many beers to choose from, and the local breweries in the Dallas area are some of the best beers on tap. Also during "Recess" (happy hour), enjoy a cocktail such as The Crushed Velvet. This drink incorporates a mixture of brandy and Benedictine with Tito's vodka to make a phenomenal Moscow Mule. A sportsman's hot spot for the enjoyment of target shooting. "Live Free" is the motto of this paradise for sportsmen of all ages. For a nominal fee, you can rent from a large selection of handguns and rifles to practice shooting in an indoor range. Perfect for hunters to hone their craft, those that shoot for sport, or even those that want to learn self defense. There are classes such as beginners instructions to advanced techniques, and conceal carry. Urbanwear outfitter in the heart of North Dallas. Denim Studio may have moved locations, but the longevity of the business is astounding. 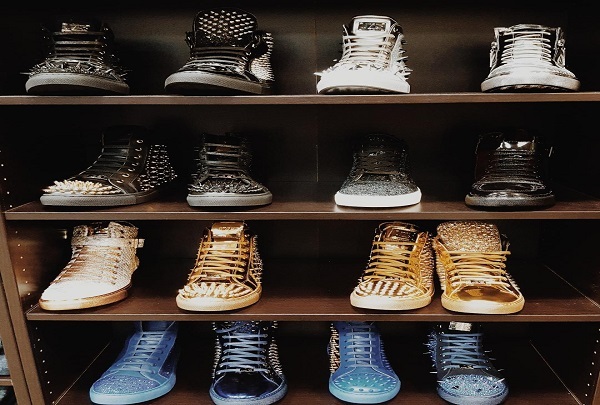 The single owner company has been around for 20 years, and has provided unique urban and street wear to the Addison area. Of the interesting items, you will see the Flying Tiger emblem elegantly stitched on sweatshirts and hats, and shoes that are custom made. Swanky seafood and chowder location, serving the Addison area for over 20 years. 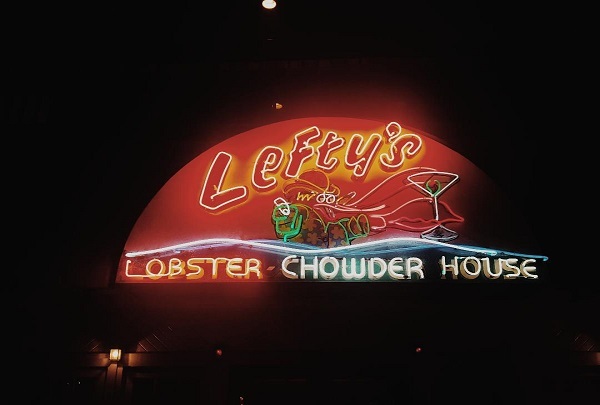 The Papageorge family started the restaurant business in New York City, and in 1996, opened Lefty's where they have been shelling out favorites like the one-pound lobster plate, chicken and pasta dishes, and crabs and shrimp plates. This is a great place for a quiet evening with a loved one, or a feast for yourself. Hip neighborhood pub, great for sporting events in relaxing atmosphere. Taking the name from an Addison staple, the new Mucky Duck services the Addison Circle area with cocktails, wine, beers on tap, and their "nice cans". One can find themselves immersed in watching a game while enjoying a local beer with friends and cheering for their favorite team. 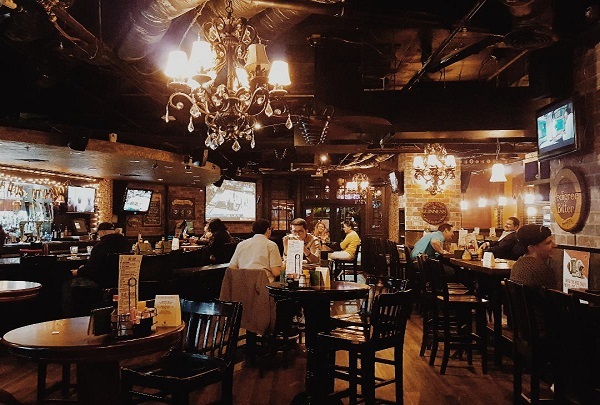 The cozy atmosphere makes the pub seem intimate even while hosting a large number of patrons. Toy and Anime shop, offering a huge selection of items from here and across the Pacific. 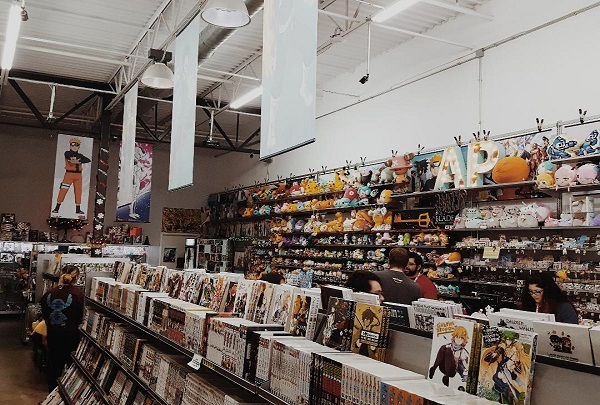 This place is a great local spot for anyone that may be really into Anime. It's also perfect for an occasional fan, looking to find fascinating merchandise. It's a shop where one can find a variety of Anime books, toys, figurines, model kits, etc that are both familiar and remarkable. This is a great place to shop for oneself, or for gifting. 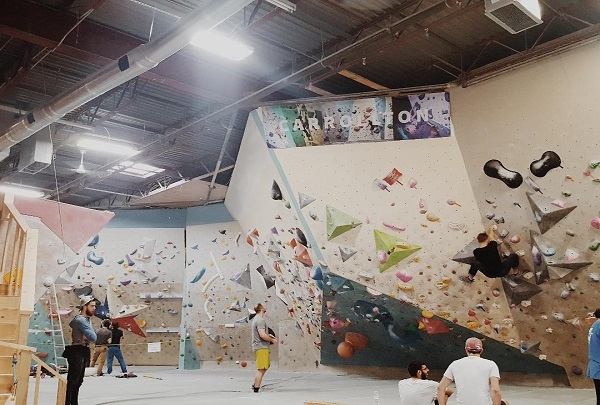 Studio that offers free climbing, and tethered climbing, as well as yoga classes. Summit is an unassuming building from the outside, but inside there are walls covered in grips as far as the eye can see. They cater to anyone, from the amature looking to try something new and exciting, to the pro, looking to keep the discipline of what they have learned. The staff is happy to help with pointers, and encouragement. 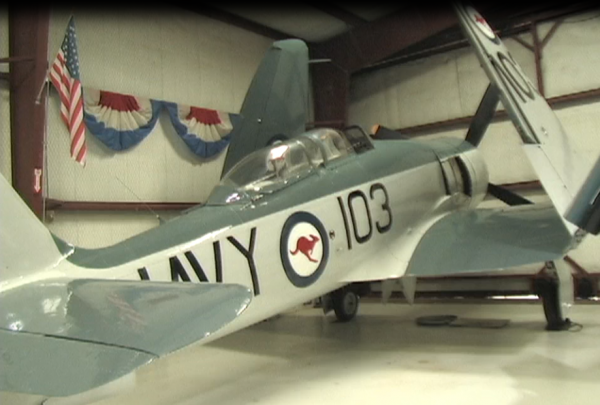 The museum provides an immersive experience for all ages to enjoy. Located just five minutes from the hotel, guests can get an up close view of the aircraft and can even get the experience to ride in one of the planes with a pilot. Neighborhood Theatre providing several stages for shows and education. Artfully designed, and surrounded by green space. Open since 1996, this theatre not only puts on fantastic shows but they also grow new talent and encourage young artists. The theater is one of the most successful professional companies in the State providing a haven for all theater lovers. A must stop, to see the phenomenal theater and all of the stars of tomorrow. This multifaceted area provides space for jogging, shopping, living, and dining. The perfect green space in Addison. Known for its big, blue art installation at its center, this Park is the center of all the fun. A neighborhood favorite, this location is home to celebrations such as Oktoberfest, KABOOM town, and the Taste of Addison. 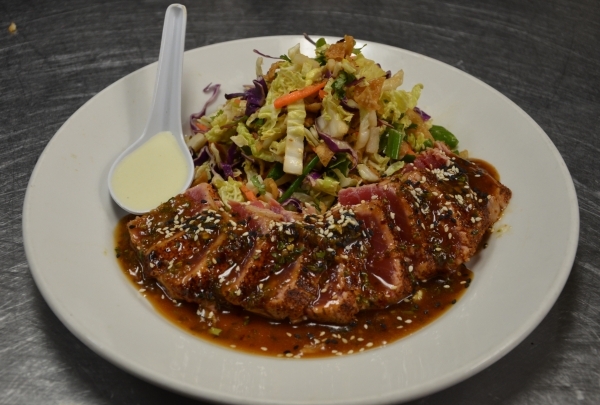 Owner and Head Chef, Richard Chamberlain prepares savory dishes that will satisfy any meat lover. His restaurant generates an incredible array of dishes with a vast wine selection to complement them. 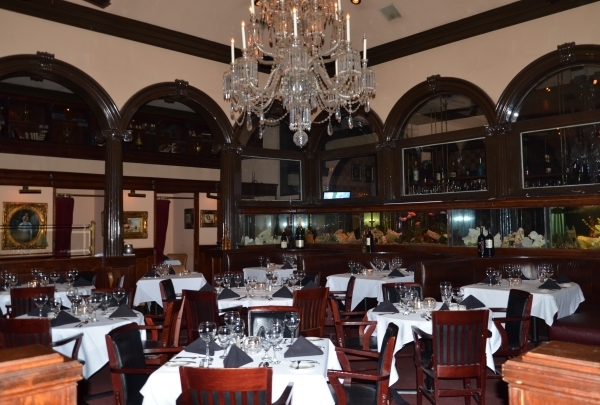 Chamberlain's Steak and Chop House also offers a gluten-free menu. Delicious food made on a Hickory Wood Grill. One of the few chophouses with a distinct and memorable taste. 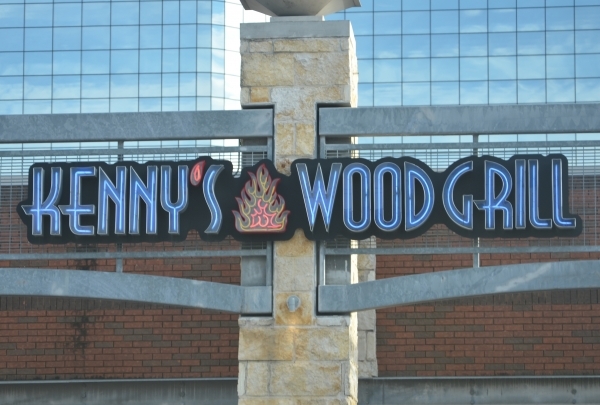 Kenny's has fantastic food, but what makes them different is the service level their staff provides. They are knowledgeable and accommodating on all of the dishes. And not only are they friendly and attentive, but they make the entire dining experience refreshing. 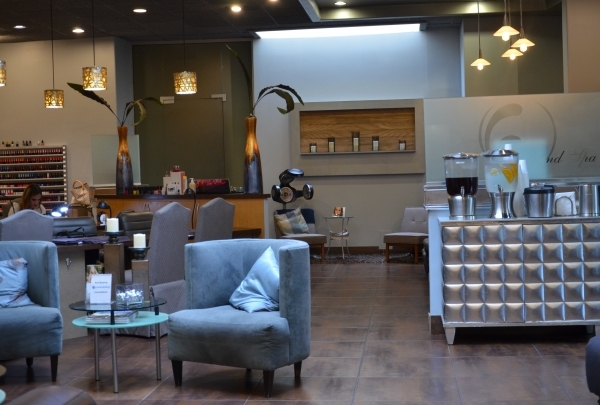 A unique spa shopping experience filled with a multitude of opportunities to relax. This multifaceted salon is magnificent in size has service to suit everyone's preferences. More than 200 dealers are associated with this mall. 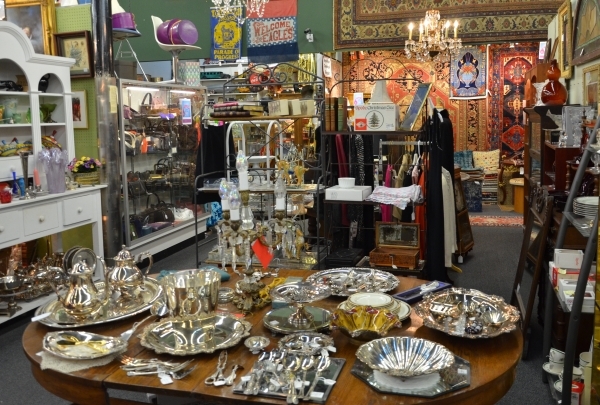 The place has an extensive selection of furniture and accessories. They also provide watch and jewelry repair, and there is a charming tearoom on site as well. The mall is a must stop on the list for visitors ranging from antique aficionados to the curious wanderer. 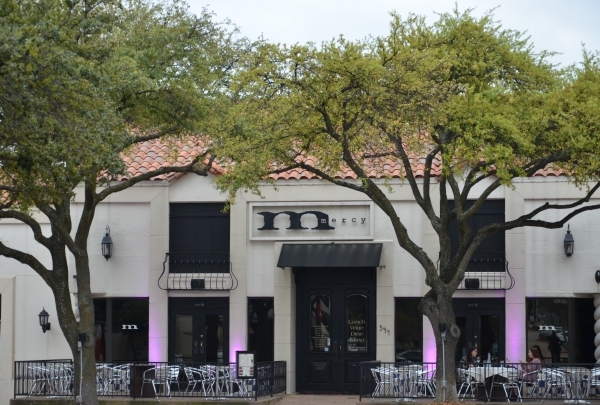 This bustling European-style cafe is a one-of-a-kind gem right near the heart of Addison Circle. Their menu offers a variety of food, drinks, and desserts that will surely appeal to everyone in your party. Bar with entertainment and wine by the glass offering a modern take on wine tastings. 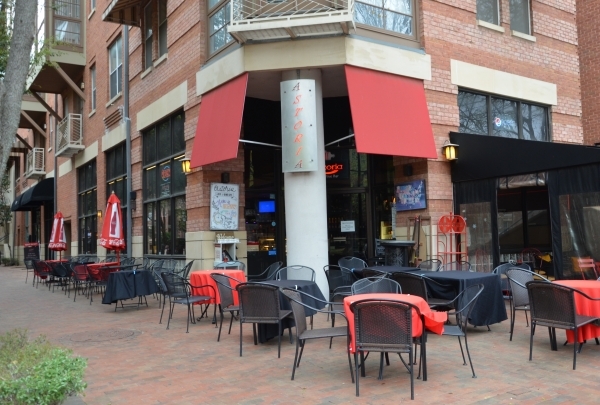 With an inviting ambiance, Mercy's creates the ideal atmosphere to relax and hang out. With their extensive selection of wines and a delectable menu complementing the wines to the tee, Mercy's presents itself as a definite go-to stop for a tranquil evening. Local Menswear shop that also provides custom tailoring. 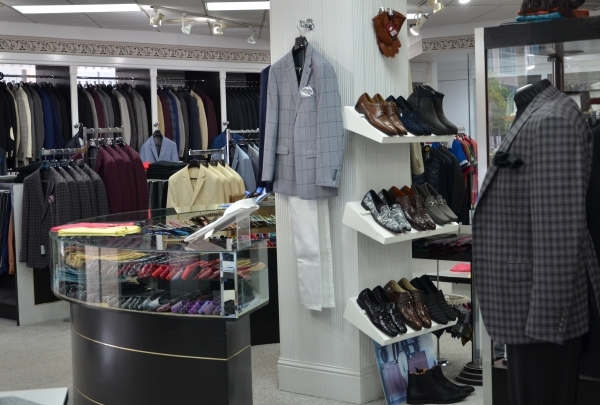 The shop offers a variety of unique suits, ties, and shoes. 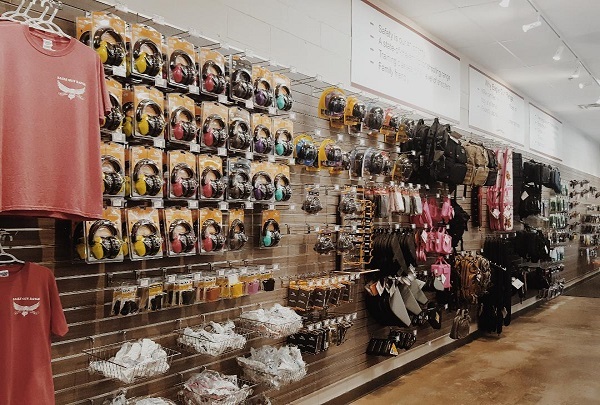 Gariani’s is your one-stop shop for all of the best suits in the metroplex. Whether you need a suit for a special day, or simply a new pair of shoes, Gariani does not disappoint. Their custom tailoring makes everyone feel confident and radiant. From Dinner to dessert, this one-of-a-kind restaurant creates menus that are hard to forget. Not only is Arthur's a fantastic place for a meal, but their service and their happy hour are top-notch. This gem has been around for over 60 years and has never disappointed. 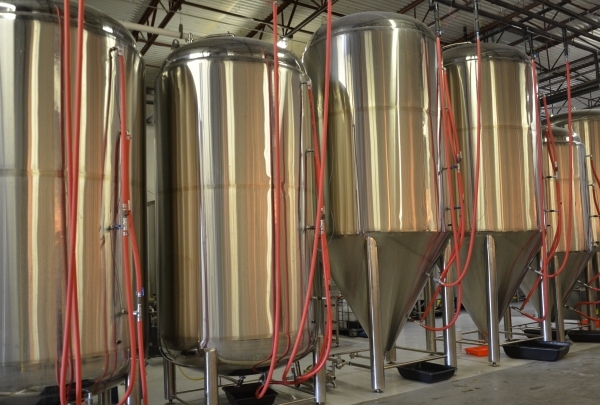 Located only 6 minutes from the Hotel, this brewery not only offers fantastic beer but also a tour and tasting. You can see the experts at work while sampling their unique beers. Call to schedule a tour. Come sample an array of delicious draughts and local flavors from Bitter Sisters Brewery located right here in the heart of Addison. At Renaissance, we believe every trip can be a tale, every turn contains a twist. Join us on Global Day of Discovery to celebrate the unexpected and experience something new… our Navigators will be waiting to show you the way. Keep the flavors local with TX Whiskey, North Texas premier whiskey distillery, Firestone & Robertson, was proud to take home the “Best American Craft Whiskey “ award for its TX Blended.